by HTBT November 17, 2008 October 14, 2009 15 Comments on Upgrade Your Plaid Shirt! When you think “plaid shirt”, you think flats, casual jacket and jeans, right? Right! But how about plaid shirt, lady-like cardigan, peep-toes, pencil skirt and romantic details (pearls, bows & co)? 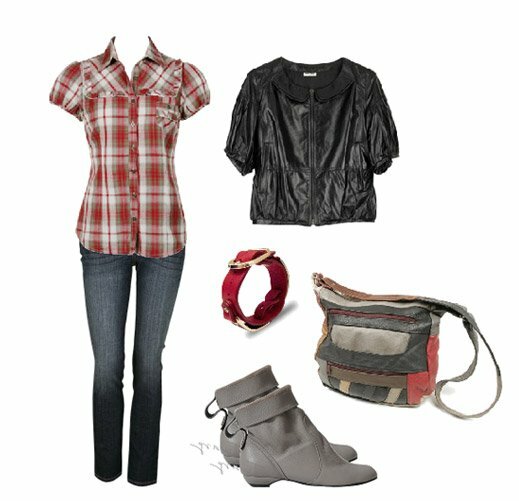 The plaid shirt is very versatile, all you need is to wear it with the “matching” casual or classy attitude! Next ArticleHow Would You Match Black & White Leopard Print? blog posts. Any way I will be subscribing for your feeds or even I achievement you get right of entry to consistently quickly. I’ve learn several just right stuff here. Definitely value bookmarking for revisiting. I wonder how a lot attempt you put to make this sort of magnificent informative website. The problem is that building insurance I cannot find anyone to insure it. home, say ABTA Association of British Insurers, says covering people with more serious health problems simply costs more. Walmart employees also get around 2, 400 had requested assistance.